A beautiful 2 bedroom rustic cottage surrounded by native bush and sea views. 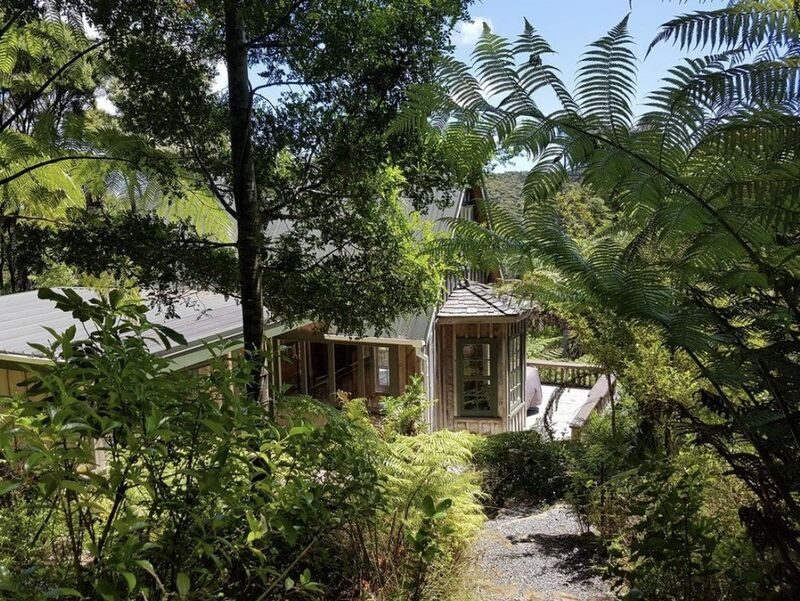 Superbly located on Harpoon Hill, Whangaparapara and 15min from Claris Village and Airport, the Whaler’s Cottage is a unique property in a magical setting. Hidden down a long driveway and surrounded by native bush, you will be greeted by a chorus of native bird life and views of the harbour. The cottage can also be accessed via a track from Whangaparapara Wharf. A short walk leads you up to the house making it ideal for boaties who want to park up for a couple of nights. Spread across two levels, the Whaler’s Cottage is a comfortable secluded getaway equipped with all the holiday essentials including outdoor furniture, a BBQ, dishwasher, plenty of parking, and a fireplace for those winter stays. A highly specified well equipped off the grid property with water that is piped via a gravity fed water system sourced from a nearby stream The first floor includes the main guest bedroom with a queen size bed, wardrobe and windows that open right up. All bed linen and towels will be supplied. The bathroom includes a shower and a raised luxury bathtub with views of the bush. Have a hot bubble bath and enjoy the tranquil scenery. A cosy lounge with TV/Computer, free wifi and Netflix, Lightbox, TV1,2,3 on Demand and Spotify for music lovers all set up on a 30inch screen with great speakers. An open plan kitchen with gas stove, oven, and dishwasher and a pot belly fireplace for warmth makes it feel like home. Fully equipped with all crockery and utensils for up to six people. A light table (with extension) and chairs makes it easy for our guests to eat inside or out on the veranda overlooking the water and beautiful sunsets and if you’re lucky, watch the dolphins and whales come out to play while you enjoy your morning coffee. Furry Friends are welcome, just let us know at booking time and smoking is allowed outside only as long as you use the ashtray provided. The second and third bedrooms are upstairs and accessed via a ladder staircase. The light airy open plan second floor have two superbly comfortable queen size beds with sea views and lovely for big sleep ins. This floor also has a small deck with even better views of the water and perfect for stargazing the dark skies of Great Barrier Island. Bring your telescope!